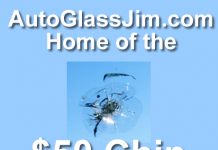 If you have a small crack in your windshield you should get it repaired before it spreads and you have to get a new windshield. 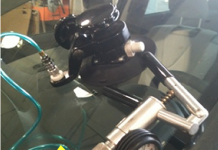 Here is how a windshield repair works and what you can expect. First, let’s take a look at the crack we will be repairing. See the dark area of the crack? That is the area that we will be repairing. We will fill it with a special clear polymer and then harden it to stop it from spreading. I use a small drill with a glass bit to open up the crack. That will allow me to vacuum the air out of the crack and allow the polymer to fill up the void where the air was. 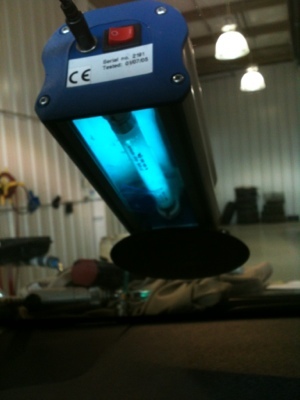 After the crack has been opened the repair fixture is put onto the windshield. 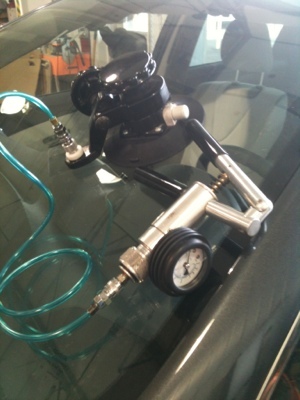 The repair fixture will allow me to remove the air from the crack and then fill it with a clear polymer. The polymer has been inserted and now a vacuum is applied so that the air can be removed from the crack, allowing the polymer to replace it. This process can take anywhere from 15 to 40 minutes, depending on the type of crack we are repairing and the size of it. Viewing the crack from inside the car will let me know when it is filled. Then I will reverse the pump and pressurize the crack which will allow all of the polymer to flow into the break. 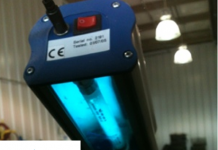 An ultra-violet light is then put on the repair which will cause the clear polymer, which has filled the crack, to harden. Here we have the final result. Some of the break is still visible, I always make sure to explain that to the customer beforehand. The purpose of the repair is to keep the crack from getting worse. We have accomplished that and have cleared up the crack significantly. Thanks, I think it helps to keep the customer informed. Most of my problems happen when the customer has unrealistic expectations. Missing any of these three critical steps could cause the repair to fail.